As regular readers will know I have published quite a few posts about white feathers and white doves. Many people see these as being signs or messages from the deceased. Here are a couple more examples. The first about white doves. "I went through a very serious personal crisis two years ago and spent a lot of time at my church in intense prayer. I found an alcove with a statue of Jesus where I would pray quietly with my eyes closed. One day I started to see very bright white spots with my eyes closed. One at a time they continuously changed shape and grew wings and I realized they were doves floating around. It was unmistakeable and it happened again multiple times. Sometimes they would even sparkle or glow. This simple image was God's answer to my prayers. I am very fond of doves now." The next two are slightly different white feather stories because the feathers appear and then disappear. I published a post a while back about how wedding rings disappear and then reappear, so why not white feathers as well. "My Aunt passed away at the end of October. Being devastated by my loss one day on my way to work I decided to ask my angels to give me a sign that Auntie was okay, and at peace and I asked to see a white feather. On the window sill when I got to work was the most fluffiest perfect white feather. The window was closed and there was nothing around that it could have come from. I knew it was my sign. I picked it up and put it in my pocket. When I returned home I informed my daughter and went to reach into my pocket to show her, but the feather was gone. I believe in Angels and find comfort in the sign that my beloved aunt is okay." "I have always believed in white feathers and have had many disappear over the years. Just recently my mum passed away and I had one float down out of nowhere and I took it home. By the next morning it had disappeared. I find comfort in them appearing and disappearing - its like they need to flutter off to give someone else comfort and that is nice. My boyfriend has never believed until recently and now he is seeing them everywhere too. Thank you all for sharing, your stories are so lovely and hope the feathers keep coming." Kindly note that the stories are genuine, but the writers wish to remain anonymous. There are many other white feather and white dove posts on this blog. I also believe in white feathers, and their meaning in your life at a specific time. 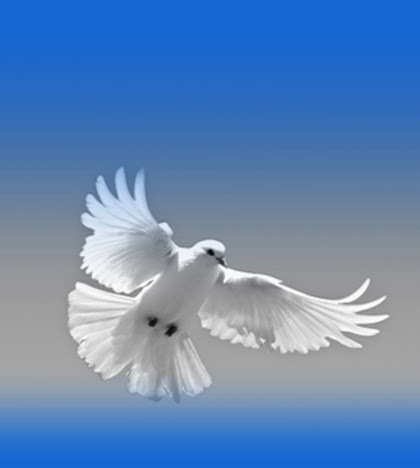 I've experienced white feathers when loved ones have died - but not white doves. I love these stories. The disappearing feathers is interesting. I wonder if they are inter-dimensional. We read of other things that come and go - like those wedding rings - but I'm not sure how. A Genuine UFO Sighting: What Do You Think?